Spatial data are key to fishery management; however, most often the spatial distribution of marine populations and fishing dynamics are poorly documented, especially for recreational fish species. The combination of fisheries-dependent data (FDD) obtained from logbooks, and local ecological knowledge (LEK) gathered from key stakeholders could be a powerful approach to inform data gaps in data-limited fisheries. 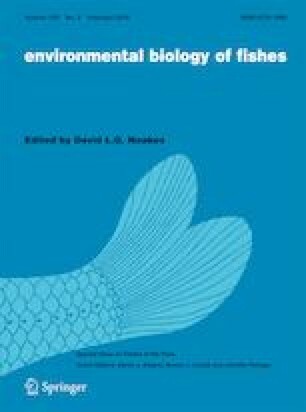 In this study, we used both FDD from guides’ catch reports and LEK using an online survey and key-informant interviews to reconstruct the spatial changes in bonefish (Albula vulpes) catch and fishing effort throughout South Florida over the past 35–40 years, and better understand the extent and spatial patterns of the bonefish decline described in previous studies. Although anglers perceived a decline of bonefish numbers across all fishing areas (26 to 53% drop across Biscayne Bay, the Florida Keys, and Florida Bay), the start of the bonefish decline in Florida Bay resulted in the highest drop in bonefish number (53%); thus, indicating both regional and localized decline events affecting bonefish abundance. Within Florida Bay, LEK and FDD concurred with an initial drop in bonefish at Inner Bay, followed by a greater magnitude of decline at Outer Bay. Metrics of effort derived from the survey and interviews depicted a shrinkage and aggregation in the spatial distribution of fishing and a shift of fishing activities toward the Lower Keys. In sum, the spatiotemporal patterns of catch and effort obtained from LEK and FDD allowed us to understand where, when and how this data-limited species declined in South Florida. We are grateful to all the South Florida guides and anglers who participated in our online survey and that graciously shared their experience and passion for fishing with us in interviews, and to Brooke Black who helped us coordinate the interview process. The work by reviewed and deemed exempt by Florida International University’s Institutional Review Board (IRB Protocol exemption #: IRB-14-0235, August 26, 2014). The study was funded by Bonefish and Tarpon Trust and developed in collaboration with the FCE LTER program (NSF DEB-1237517). This is contribution #108 from the Center for Coastal Oceans Research in the Institute of Water and Environment at Florida International University. Our survey was approved by the Human Subjects Board at Florida International University and was performed in accordance with the ethical standards as laid down in the 1964 Declaration of Helsinki and its later amendments or comparable ethical standards. All procedures performed in studies involving human participants were in accordance with the ethical standards of the institutional and/or national research committee and with the 1964 Helsinki declaration and its later amendments or comparable ethical standards. For this type of study formal consent is not required.